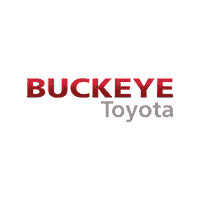 This has been the second time I have least a car from Buckeye Toyota. The experience was very pleasant . Bob Ankron was vefy helpful.And leasing the Rav4 was an easy decision to make.I am very happy with this experience. So good first trip . My wife and I just leased a new RAV-4 from here. Our sales person Andrew was amazing and extremely helpful, polite and most importantly very patient with us. Could not recommend this establishment more!!!! Adam Thomas was our salesman and Andrew Mettle was our finance manager. They were both very professional and we are pleased with our purchase.